Designed for students of speech-language pathology, audiology and clinical linguistics, this valuable text introduces students to all aspects of the assessment, diagnosis and treatment of clients with developmental and acquired communication disorders through a series of structured case studies. Each case study includes questions which direct readers to important features of the case that will facilitate clinical learning. A selection of further readings encourages students to extend their knowledge of communication disorders. 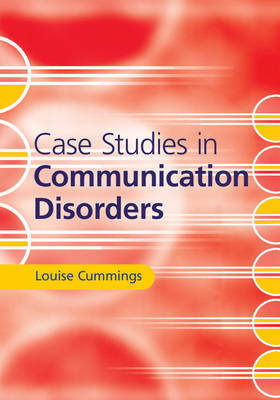 Key features of this book include: • 48 detailed case studies based on actual clients with communication disorders • 25 questions within each case study • Fully-worked answers to every question • 105 suggestions for further reading The text also develops knowledge of the epidemiology, aetiology, and linguistic and cognitive features of communication disorders, highlights salient aspects of client histories, and examines assessments and interventions used in the management of clients.